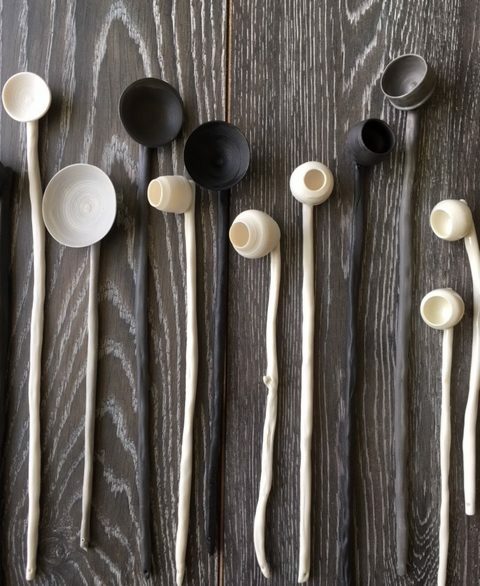 A number of Krowji tenants are exhibiting at the Fair 14th-16th September this year including ceramicist & mixed media artist Sarah Cooling, a recent graduate from Cornwall College BA Contemporary Craft and recipient of the 2017 Graduate Studio Award at Krowji, alongside fellow graduate and Studio Award recipients Vanessa Penrose, Jo Reed, Barbara Reynolds and Carol Weir. Krowji-based Goldsmiths Mamm + Myrgh, Sculptor & Painter Gary Scott and Mixed Media Artist Clare Summerson will also be exhibiting at the fair. “In addition to the big show tent, the elegant interior of Trereife House will be open to visitors as the backdrop for a special exhibition of contemporary glass. Outside, the parterre and long border of Trereife’s formal gardens will be the venue for ‘Form and Formality’, an exhibition of outdoor sculpture in wood, glass, metal, ceramic and stone; on the green, there will be live Raku firings, while the walled garden will host the event’s Education tent , which will offer a programme of design-led workshops and demonstrations, alongside a pop-up café and artisan cake outlet. For more information visit the Breeze Art & Makers Fair.